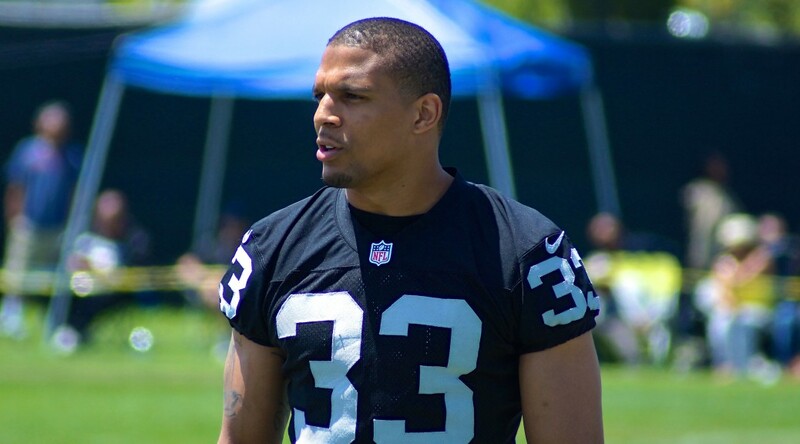 Rod Streater was an undrafted free agent in the 2012 NFL draft class by the Oakland Raiders. He had two strong seasons to start his career. Streater fractured his foot in a 16-9 loss to the New England Patriots in week 3. With Streater set to become a restricted free agent, the Raiders gave him a second-round contract tender per league source, which virtually assures his return to the Raiders next season. 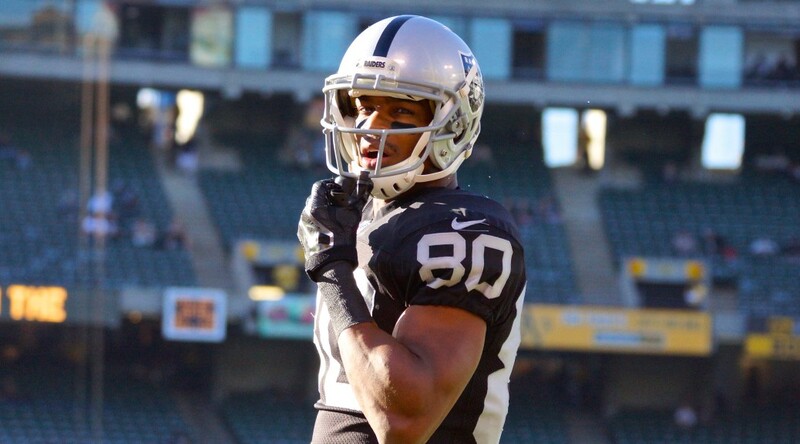 Streater is free to negotiate with other teams, but the Raiders have the right to match any offer sheet given to him. If they decline, the other team must give up a second-round draft pick in return. Streater and the Raiders can work out a longer-term deal in the coming weeks. If not, Streater will end up signing a one-year contract with $2.356 million, the total mandated with the second-round tender. 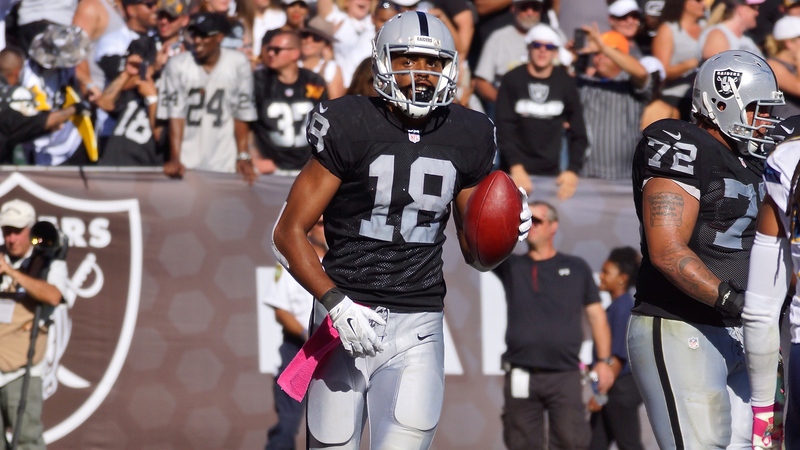 While Streater is expected to return, Andre Holmes’ future is somewhat up in the air. The Raiders gave him an original-round tender worth $1.542 million, according to a separate league source. But, because he went undrafted, the Raiders won’t get any compensation if they refuse to match an offer sheet from another team. Holmes had 47 receptions for a team-high 693 yards last season. He also had five touchdowns. 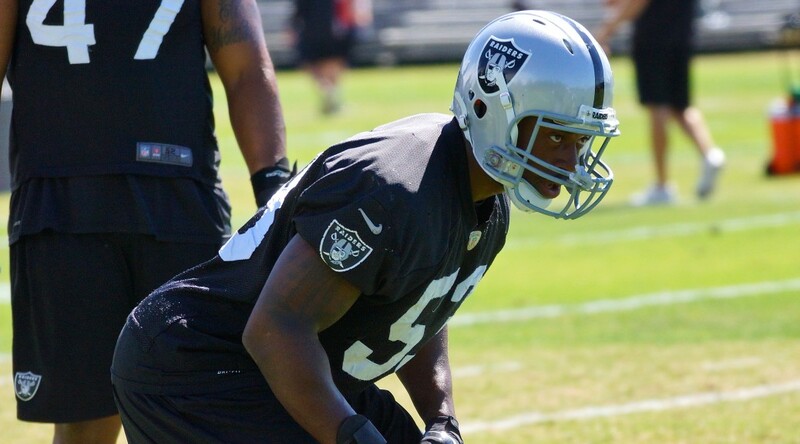 The Oakland Raiders released veterans middle linebacker Nick Roach and safety Usama Young on Friday. Middle linebacker Nick Roach suffered a concussion during week three of the preseason versus Green Bay on August 22, 2014. Still today Roach is still having symptoms from the concussion. Roach hasn’t been cleared to resume any football activities and, in the recent weeks leading to his release, it became clear that he won’t be playing again soon. There is a chance Roach may never play again. The Raiders released Roach with a failed physical designation. Roach’s release comes with the Raiders saving $2.1 million in cap space and $1.6 million in dead money . He was signed through the 2016 season. 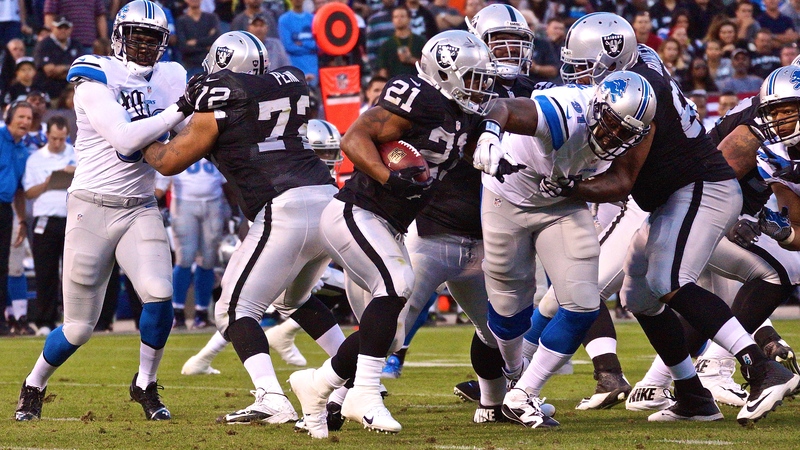 The Raiders released veteran safety Usama Young with the same designation. Young is rehabilitating from a knee injury. He required surgery after he tore his ACL and MCL against the Arizona Cardinals in week 7. There is no dead money associated with Young’s release. Oakland will save $1.1 million with that transaction. Adding that savings to NFLPA numbers, the Raiders now have $66.47 million in salary cap space. The Raiders are expected to trade or release backup quarterback Matt Schaub with a savings of $5.5 million in cap space. There is no specific timetable to do so. The Raiders have a pressing need at middle linebacker. Miles Burris isn’t the answers at the MLB he was thrown into the position with the injury to Roach. Young provided veteran cover at both safety spots. With the release of Tyvon Branch and Usama Young they Raiders are now looking for a strong safety and a reserve safety. With Charles Woodson in his 18th season we could see a priority to draft a safety possibly as soon as the third round. 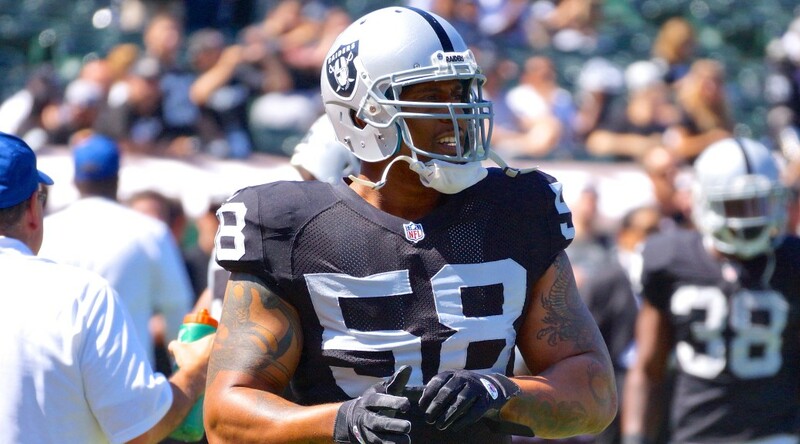 As expected, the Raiders have released defensive end LaMarr Woodley on Thursday, per the team’s official website. Woodley suffered a torn bicep muscle in Week 7 against the Cardinals and was place on season ending IR on October 25, 2014. The 30 year old Woodley spent his first seven seasons with the Steelers before signing a two-year contract with the Raiders last offseason. He had just five tackles last season with the Raiders, and 304 tackles (57 sacks) through eight seasons in the league. He was scheduled to make $3.85 million with a salary cap hit of $5.1875 million. 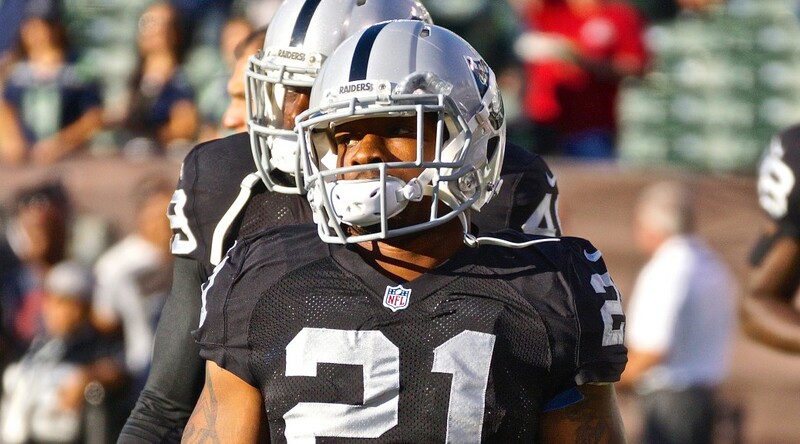 Oakland Raiders Maurice Jones-Drew announced his retirement from the NFL on Thursday on Twitter. The Oakland native and De La Salle High School graduate played nine seasons in his NFL career. Eight with the Jacksonville Jaguars and one in the 2014 season with his hometown Raiders. He finished with 1,847 carries for 8,167 yards and 68 rushing touchdowns. He also had 346 receptions for 2,944 yards and 11 TDs in the passing game. Jones-Drew had been contemplating retirement during the off season. He had made comments about Oakland’s new head coach Jack Del Rio. He had some of his best years under Del Rio in Jacksonville. He ultimately chose to stay home with his family and continue to coach at De La Salle High School. He liked the thought of being able to take his kids to school everyday. Something he hadn’t been able to do during his NFL career. Jones-Drew is a Bay Area football legend. He starred at De La Salle, which never lost a game during his varsity career. He scored four touchdowns in a game against Long Beach Poly, which pitted the nation’s top prep teams against each other. He was a running back, return man and linebacker for the Spartans. He moved on to UCLA, where he was a consensus All-American in 2005. He was selected in the second round of the 2006 draft by the Jaguars. He was named to three Pro Bowls in eight seasons with Jacksonville. He was named a first-team All-Pro in 2011, when he won the NFL rushing title. He signed with the Raiders last offseason, and never made a real impact. There was a possibility Jones-Drew would get released this offseason or late in training camp, but he chose to retire instead. Jones-Drew was well respected by teammates and the press. He was also heavily involved in the community with charitable endeavors he plans to continue in retirement. 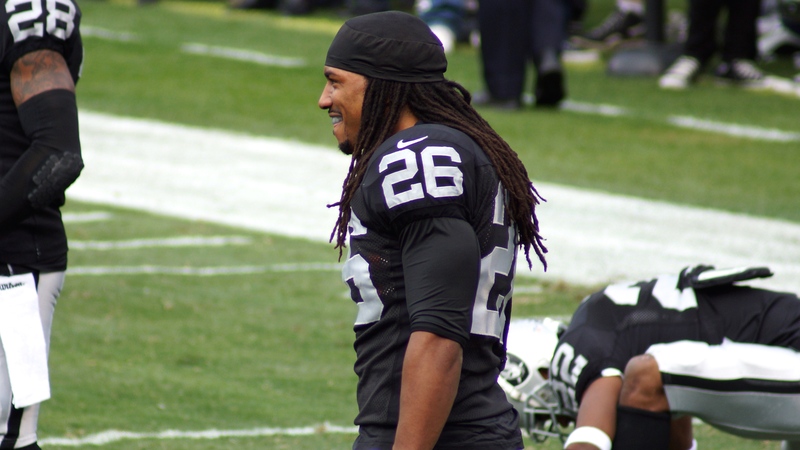 As expected the Oakland Raiders officially released veteran strong safety Tyvon Branch on Tuesday. He was set to make $9.67 million against the 2015 salary cap. The Raiders saved nearly $3 million in cap space by releasing the veteran. Branch had back-to-back seasons cut short by major leg and foot injuries. He missed 14 games in 2013 with a fractured fibula and 13 games in 2014 with a fractured foot. There were growing concerns inside the organization about how Branch would come back from the injuries and if he could stay healthy. The team told Branch about his release last week. Branch had tweeted thanks to the organization and its fans for seven years in Oakland. Branch is now an unrestricted free agent.